J Thomson and partners website, farm contractors and JT Hire, agricultural machinery hire. We have two rear discharge manure spreaders available for hire. One New 18 tonne capacity spreader with slurry door and up to 12 m spread pattern. 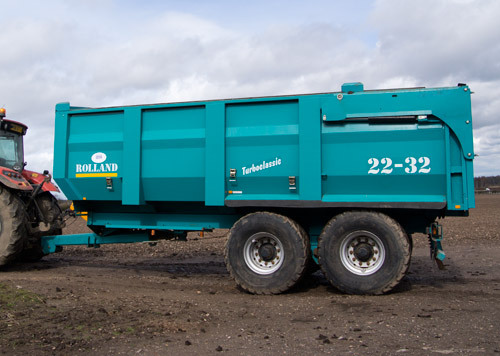 We have two 16/18 tonne Rolland trailers available. One is fitted with extra wide flotation tyres.